H2023 An often admired home. 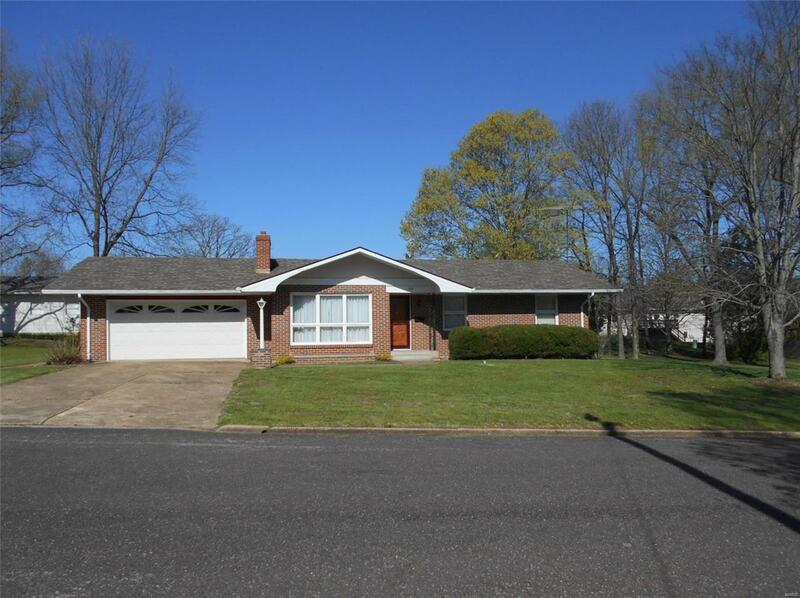 3 bedrooms, 2 baths, 1232 SF, well-built full brick ranch in excellent condition on 3 lots in a nice area close to Watson Road, country club and high school. Hardwood floors in all bedrooms (one is currently covered with carpet), beautiful pristine condition plaster walls, beautiful brick fireplace (with buck-type insert) in the large living room and another fireplace in the full, partially finished lower level; main level laundry. New shingles in 3/09 on house and 2018 on detached garages, new carpet in l/r, hall and small bdrm, remodeled bath. 2 car oversized attached garage; plus two detached garages , Larger one has great wood stove and is well-equipped for woodworking shop. Well established garden spot and covered dog pen or wood storage shed, plus separate storage shed w/concrete floor. Nicely landscaped lawn. Efficient hot water heating system in residence, gas furnace in attached garage.